My sister always says, “Boys’ heads are always in the cloud.” And I would return, “Really? The iCloud? The Microsoft Cloud?” But now, my head is really in a cloud. 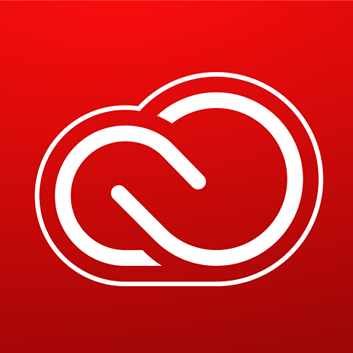 The Adobe Creative Cloud! A couple of months ago, my dad got Photoshop. Last week, he got the whole Creative Cloud! The first thing we used was Illustrator. I messed around with Illustrator (like Paint on steiroids) for a bit and plan to use it for my logo design buisness. The next day, we downloaded Audition (a sound editing program). We used it to crop the ads from the file from the first episode of his radio show. That was a long night. The next day, I messed around with After Effects (video effects). We are probably going to use Premiere (for video editing) and InDesign (for my Dad’s free PDFs). Warning: everything I tried is difficult to work with! I am a homeschooled boy living in New York City. Check out the most recent Johncast Episodes! Johncast Episode 60 - Einstein and Camp! Johncast Episode 59 - Crazy Vegans! Johncast Episode 58 - Feel the Burn! Johncast Episode 56 - Siri, Alexa, and Idiots!